The Third Rule of Ten (February 2014, Hay House, INC.) This is latest mystery installment from best-selling authors Hendricks and Lindsay featuring the ex-Buddhist and ex-LAPD officer turned go-to private detective, Tenzing "Ten" Norbu, and his bevy of high-profile clients. A new investigation leads him down a path littered with deadly clues reminiscent of an old enemy. In a profession that depends on confidentiality, Ten must accept that there is a fine line between healthy privacy and dangerous secrecy. I love to read. It's how I spend most of my "me time". 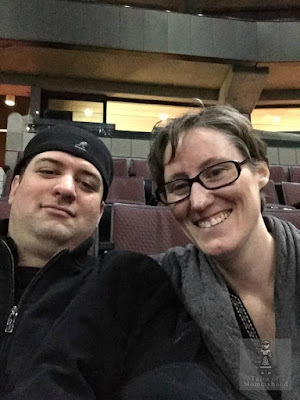 I normally choose romance novels, but when I was approached about reviewing The Third Rule of Ten it piqued my curiosity. 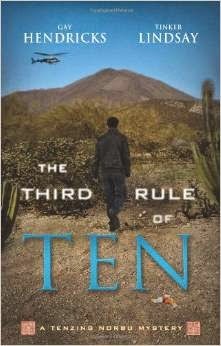 The Third Rule of Ten has just the right amount of mystery mixed in with everyday life. It does happen to be the third in a series of novels; however, I haven't read the first two and I was able to get into this story without issue. I think it would probably give you a little more back story to the main character, Tensing Norbu, but definitely not a must to read the book. Tenzing Norbu is an ex-LAPD officer and now a private detective. He is selective about the cases he accepts, and discretion is always a priority for him. His latest case starts off as a search for a missing person, but quickly leads him to discovering a hidden part of life in LA. While he races through Los Angeles, it also has him crossing the border into Mexico. Do you like to read? What is your favourite genre? I love to read, I pretty much read nonstop whenever I get a chance. My favourite genre is historical fiction. I love to read but my two little guys keep me so busy, finding the time is really hard. I love to read biographies the most. I love mysteries so this is right up my alley. I haven't read the other books either so I may start with them.